1 YEAR / 12,000 MILE PERFORMANCE POWERTRAIN WARRANTY INCLUDED INTO INTERNET PRICE! CLEAN CARFAX // NO ACCIDENTS // $147,450.00 MSRP // 2014 BMW I8 PURE IMPULSE WORLD ($10,800.00) includes: 20'' BMW I Light Alloy Wheels, Anti-theft alarm system, Storage Package, Heated front seats, headliner in Anthracite, BMW i blue seat belts, Parking distance control, Ambiance lighting, LED headlights, Active driving assistant, Head-up display, Harmon kardon premium sound, Enhanced B/T and Smarphone In, & More! Brand NEW Rear Tires! No Service Lights! Next Service Due In 3,000 MILES! 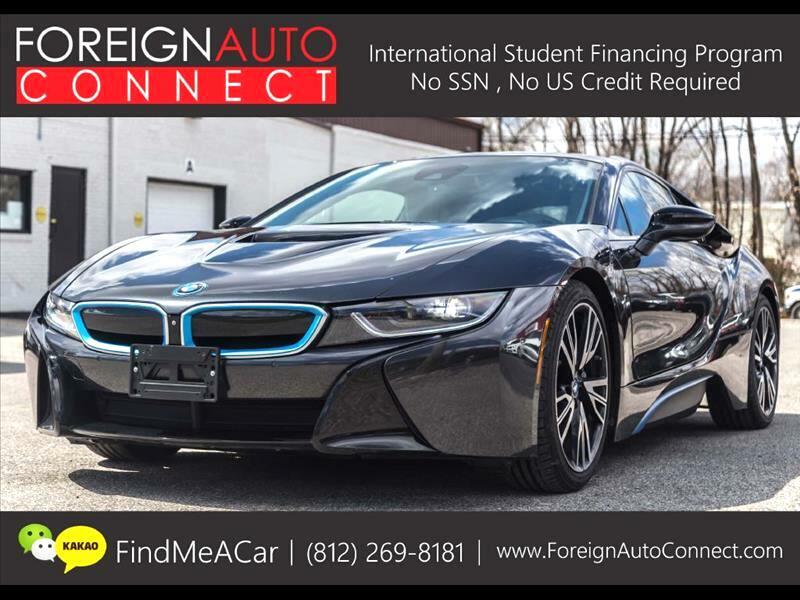 Message: Thought you might be interested in this 2014 BMW i8.